Stopping and preventing forced marriage is a community responsibility. We want members of the community, civil society organisations, marriage celebrants, educational institutions, government agencies and religious organisations and leaders to pledge a commitment to ending forced and under-age marriage in communities living in Aotearoa. How can you help end forced marriage? 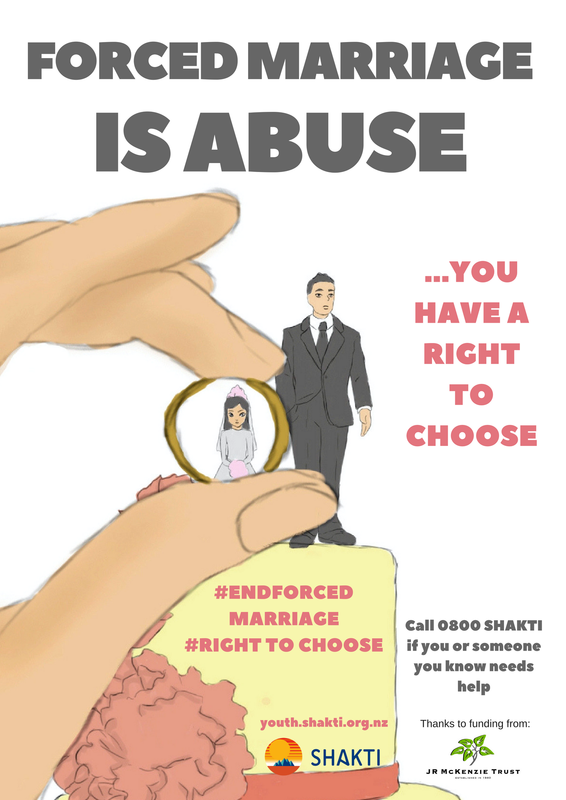 If someone is at risk or in a forced marriage, take action and refuse to be a by-stander. You can support them to get help so they can access safety by contacting relevant agencies and organisations like Shakti (0800 SHAKTI). This month, a Bill has been passed in Parliament which means 16 and 17 year olds must get permission from a family court judge to get married after the judge has carried out an investigation. This means that the two young people getting married will be interviewed by the judge without the parents there. You can read articles about the Bill passed in Parliament here.